Saving is simpler than you think. Protect your customers with confidence through expert application recommendations and performance guarantees with the SecureChoice℠ assurance programs. Click on an icon below to learn more. With increased national attention on mosquito-borne diseases such as the Zika virus, it is no surprise that mosquito services are becoming more popular as part of residential pest management. 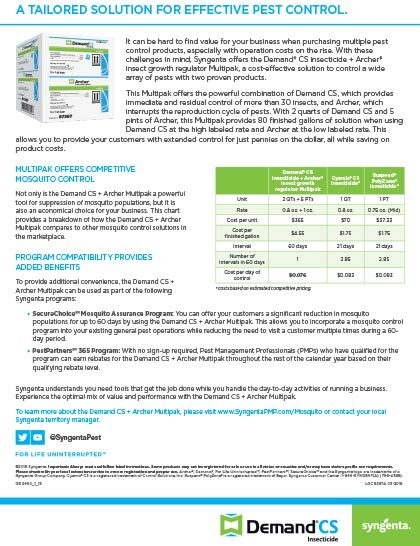 To give you a competitive advantage in this crowded market, Syngenta offers the SecureChoice℠ Mosquito Assurance Program for guaranteed mosquito control that lasts up to 60 days. As an IGR, Archer can further suppress mosquito populations throughout the season by controlling mosquito larvae before they hatch into adult mosquitoes. 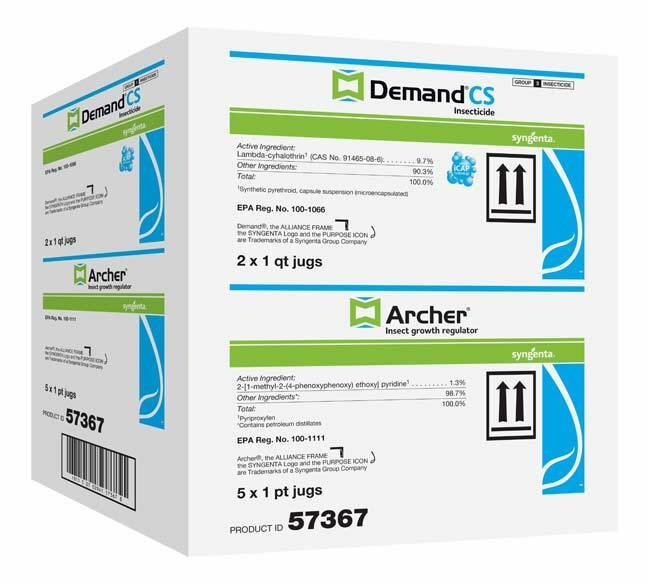 Using Demand CS and Archer together every 60 days can help mosquito control in lawns through the entire season. 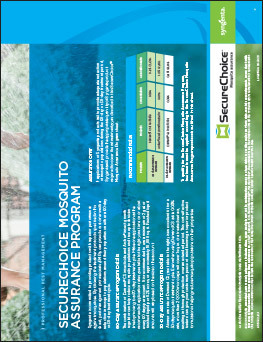 The Demand CS + Archer Multipak can be used as part of the SecureChoice Mosquito Assurance Program to provide your customers with a significant reduction in mosquito populations for up to 60 days. 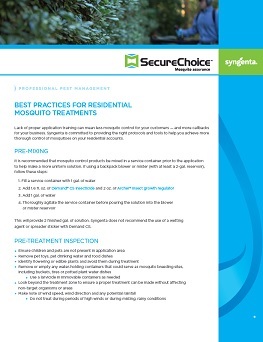 To qualify for the SecureChoice Mosquito Assurance Program, treatments using Demand CS and Archer must be applied according to the treatment protocol. 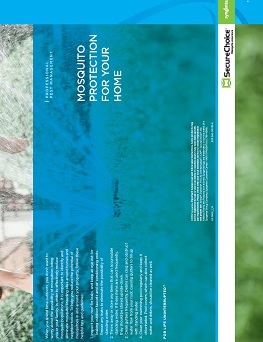 For program details and complete terms and conditions, download the SecureChoice Mosquito Assurance Program sheet. PMP magazine published an article in its May 2018 issue featuring Dr. Phil Koehler from the University of Florida, who explained why IGRs like Archer are essential for mosquito control. You can read the article online here. Source: Dr. Phil Koehler, University of Florida. Trial reflects treatment rates commonly recommended in the marketplace. In a trial conducted by Dr. Phil Koehler at the University of Florida, applications of Demand CS plus Archer significantly reduced the number of Aedes albopictus mosquitoes 14 weeks post-treatment. 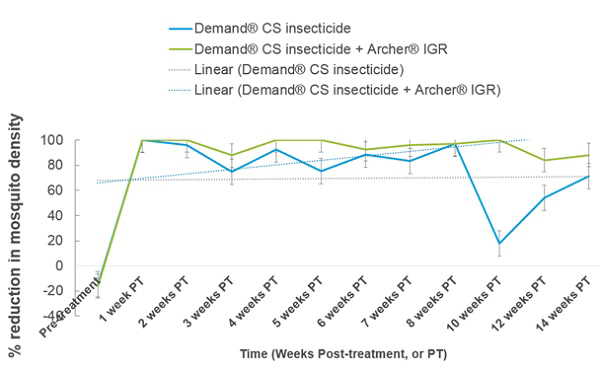 However, at Week 9, applications of Demand CS plus Archer resulted in a greater reduction of mosquitoes compared to the application of Demand CS alone, demonstrating the benefits and added population suppression when using an IGR in conjunction with an adulticide. 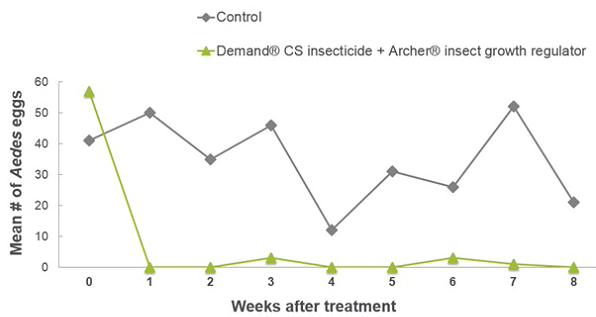 In a trial conducted by Dr. Phil Koehler at the University of Florida, applications of Demand CS plus Archer significantly reduced the number of Aedes albopictus mosquito eggs through eight weeks post-treatment. 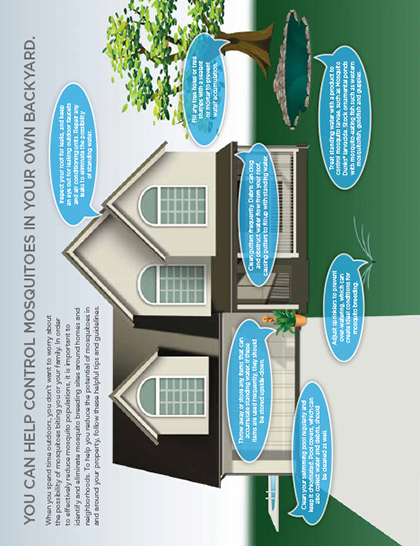 The IPM Approach to Mosquito Control webinar is courtesy of GIE Media. The status of potential Zika virus vectors in the U.S.
Download documents with full details for each program. Nuisance and disease-carrying pests like fleas are growing challenges to outdoor properties. Fleas can lead to serious pet health problems like anemia, allergies or tapeworms, and their transfer into homes can quickly become an infestation. If applications fail to provide adequate reduction of outdoor flea populations during the specified treatment period, Syngenta will provide the appropriate quantity of Demand CS and Archer to cover the retreatment(s). To qualify for the SecureChoice Flea Assurance Program, treatments using Demand CS and Archer must be applied according to the treatment protocol. 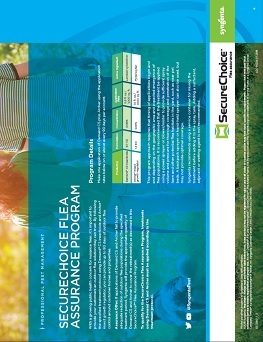 For complete terms and conditions, download the SecureChoice Flea Assurance Program sheet. Why should your business invest in a tick and flea service? Nuisance and disease-carrying pests like ticks are growing challenges to outdoor properties. Cases of Lyme disease, carried by ticks, have tripled in the U.S. in the past 2 decades, making it the most commonly reported vector-borne disease in the Northern Hemisphere1. 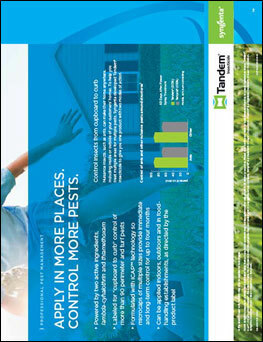 With the power of Demand® CS insecticide, Syngenta is committed to providing products with superior performance. Our program treatment protocol can help reduce outdoor tick populations around customers' properties on a 90-day treatment cycle. If applications fail to provide adequate reduction of outdoor tick populations during the specified treatment period, Syngenta will provide the appropriate quantity of Demand CS to cover the retreatment(s). To qualify for the SecureChoice Tick Assurance Program, treatments using Demand CS must be applied according to the treatment protocol. 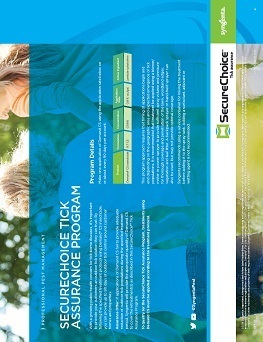 For complete terms and conditions, download the SecureChoice Tick Assurance Program sheet. 1 Asher, Claire. "Lyme disease-carrying ticks are now in half of all U.S. counties." Science. Online. 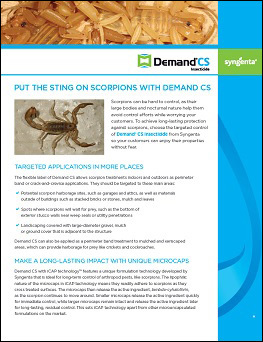 With the proven performance of Demand® CS insecticide with iCAP™ technology, Syngenta is committed to providing effective scorpion control solutions. By following the treatment protocol specified, pest management professionals can help reduce scorpion populations around customers’ homes or properties. Including Advion® insect granule in the treatment protocol helps control scorpion food sources, such as crickets, cockroaches and earwigs, in areas where insecticide sprays may not be effective. When used together, treatments of Demand CS and Advion insect granule provide a more thorough and effective scorpion eradication. If applications of Demand CS and Advion insect granule fail to provide adequate reduction of scorpion populations during the specified treatment period, Syngenta will provide the appropriate quantity of Demand CS and/or Advion insect granule to cover the retreatment(s). To qualify for the SecureChoice Scorpion Assurance Program, Demand CS and Advion insect granule must be applied according to the treatment protocol. 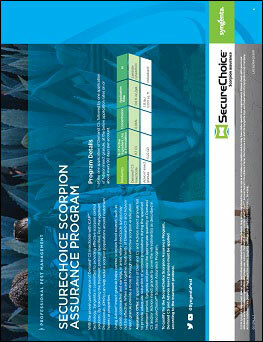 For complete terms and conditions, download the SecureChoice Scorpion Assurance Program sheet. With the proven performance of Demon® WP, Demand® CS and Tandem® insecticides, Syngenta is committed to providing products with effective performance against spiders. By following the treatment protocol specified, pest management professionals can help reduce spider populations around customers' homes or properties. 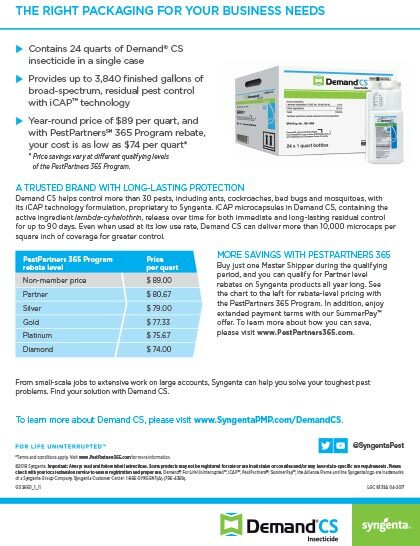 If applications of Demon WP and Demand CS, or Demon WP and Tandem, fail to provide adequate reduction of spider populations during the specified treatment period, Syngenta will provide the appropriate quantity of Demon WP, Demand CS and/or Tandem to cover the retreatment(s). To qualify for the SecureChoice Spider Assurance Program, Demon WP and Demand CS or Tandem must be applied according to the treatment protocol. 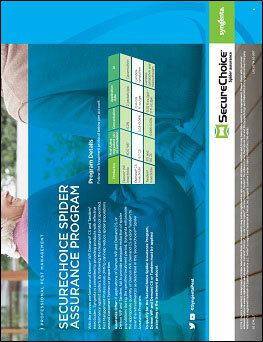 For complete terms and conditions, download the SecureChoice Spider Assurance Program sheet. 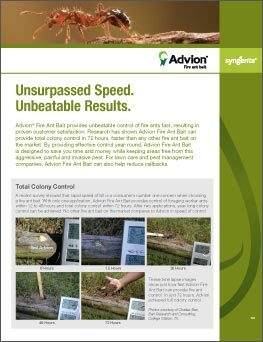 With the proven performance of Advion® Fire Ant Bait, Syngenta is committed to providing effective fire ant control solutions. By following the specified fire ant control treatment protocol, Pest Management Professionals (PMPs) can reduce fire ant populations around customers' homes or properties. Advion Fire Ant Bait provides fast control of fire ants, providing total colony control, including the queen. With only one application, Advion Fire Ant Bait provides control of foraging worker ants within 12 to 48 hours and total colony control within 72 hours. After two applications, year-long colony control can be achieved. 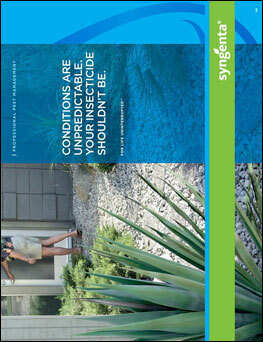 Assurance Offer: Syngenta guarantees at least 90% control of active mounds by following the recommended protocol. 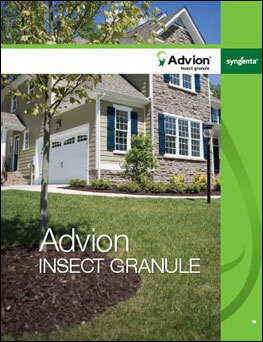 If not, we will replace your purchase of Advion Fire Ant Bait as described in this Assurance Program. Contact your Syngenta Territory Manager or Syngenta Authorized Distributor/Retailer with questions. 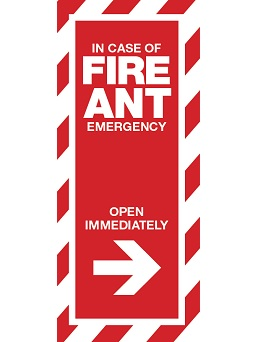 To qualify for the SecureChoice Fire Ant Assurance Program, recommended applications of Advion fire ant bait must be applied according to the treatment protocol. 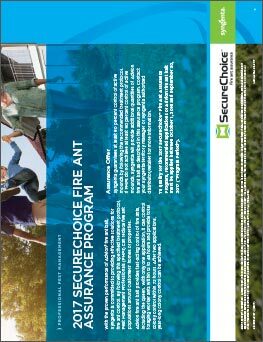 For complete terms and conditions, download the SecureChoice Fire Assurance Program sheet. Search for Syngenta labels by product name. Find your Syngenta territory manager, locate a distributor or send a general inquiry.